← Sunday Switchup: How Much For THAT Doggie? I’m really not sure who Sancho’s friend is… I was too busy admiring His Longitude and his retinue. Sancho is 8, and has still shown absolutely no signs of getting any less long. 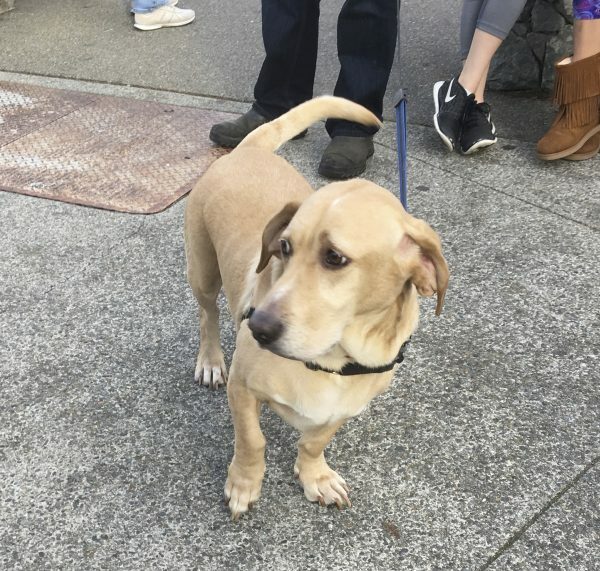 It must be the basset that makes him so good at the woebegone dog look. He has a very broad range of expressions, doesn’t he? 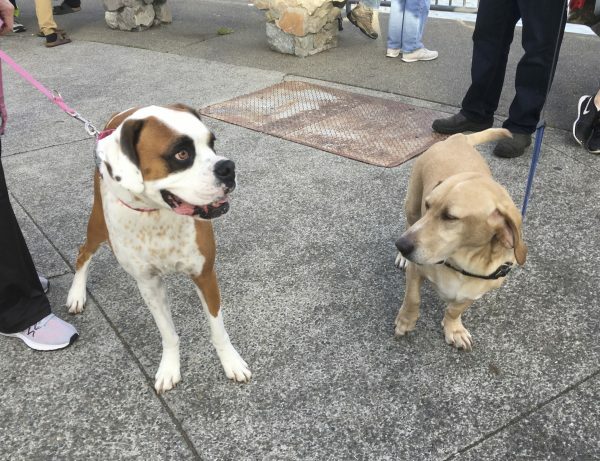 This entry was posted in Dog of the Day and tagged Basset Hound, Boxer, Labrador Retriever, Mixed Breed, North Bay, Sausalito. Bookmark the permalink. 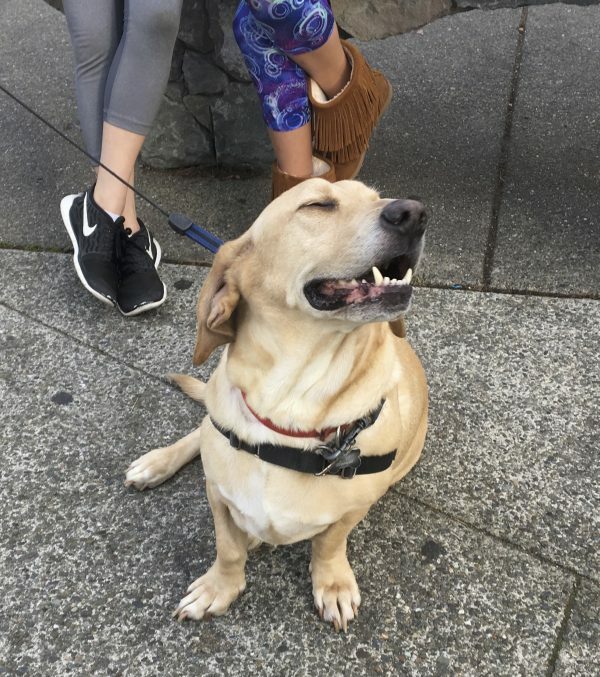 There’s obviously some Yellow Lab in Sancho. My Zachery (yellow Lab about the same age as Sancho) has that same great grin. I love that one. The ‘I’m healthy and well-fed and well-scratched and all is right with the world’ grin. So do I get to see some pictures of Zachery, maybe on Facebook?